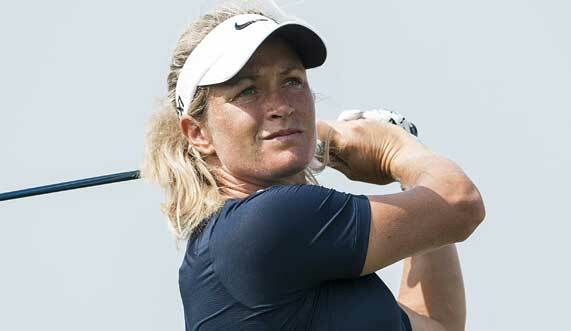 Norwegian golfer Suzann Pettersen stormed home with a final-round 66 to win the Mission Hills World Ladies Championship on Sunday. Trailing overnight leader Inbee Park of South Korea by two strokes heading into the final round in Hainan, Pettersen took advantage of Park’s bogey at the 2nd hole with a birdie there to join her at the top of the leaderboard. The Norwegian then went on to birdie the 3rd and 4th holes to take the lead on her own. There was little between the women all day, but when Park bogeyed the 15th Pettersen was out to a two-stroke lead which proved too much for the world number four to make up. Pettersen ended up finishing on 18 under to take a one-stroke victory over Park, with China’s Shanshan Feng a long way back on 11 under to take third. South Korean duo Suh Bo-Mi and Soo Jin Yang shared fourth place on 10 under, while Italian Veronica Zorzi was sixth on nine under.